Fayston, Vermont. 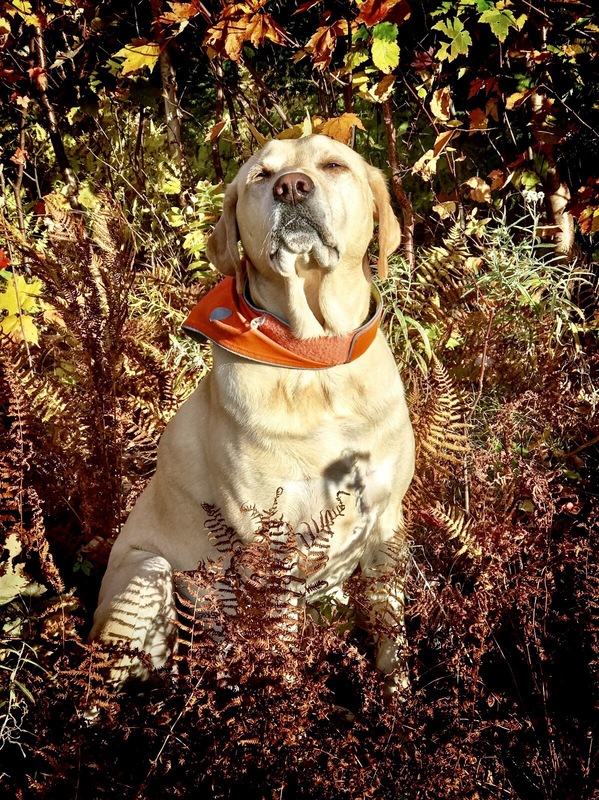 Wagmorevt has been sharing dog stories, tips, and photos for four years. I published my first post celebrating all dogs on National Puppy Day, 2015. Along the way, I’ve shared stories of readers’ dogs and my dogs, as well as giving tips for taking great dog photos. Thank you, dear reader, for following along! This past year, I’ve expanded my photography into a true side-hustle: I launched my greeting card line and my Etsy shop. I have been fortunate to have my cards and prints in a local shop that’s otherwise full of locally-designed natural fiber knitwear. Then, earlier this month, my work was accepted at a local art & craft gallery. What pieces of mine excited the gallery’s jurors the most? My dog photos! If you’re in Vermont, find my cards and a large print at Artisans’ Gallery on Bridge Street in Waitsfield. All the work in the Gallery – and there’s a wide variety – is made by Vermont artists. My greeting cards are also at Product Think Tank, located next to the Waitsfield Post Office. Product Think Tank is full of beautiful natural fiber knits for men and women in seasonal colors. Online, please visit my Etsy shop at RSilbernagelPhoto. I sell greeting card sets and a few prints on this site. Enough crowing. My anniversary post is supposed to be short on words and long on photos from the past year. Those images bring back memories of warmer days and happy but cold noses. I also have to share a very special shout-out of gratitude to the people of Golden Huggs Rescue, from where all three of my dogs were adopted. 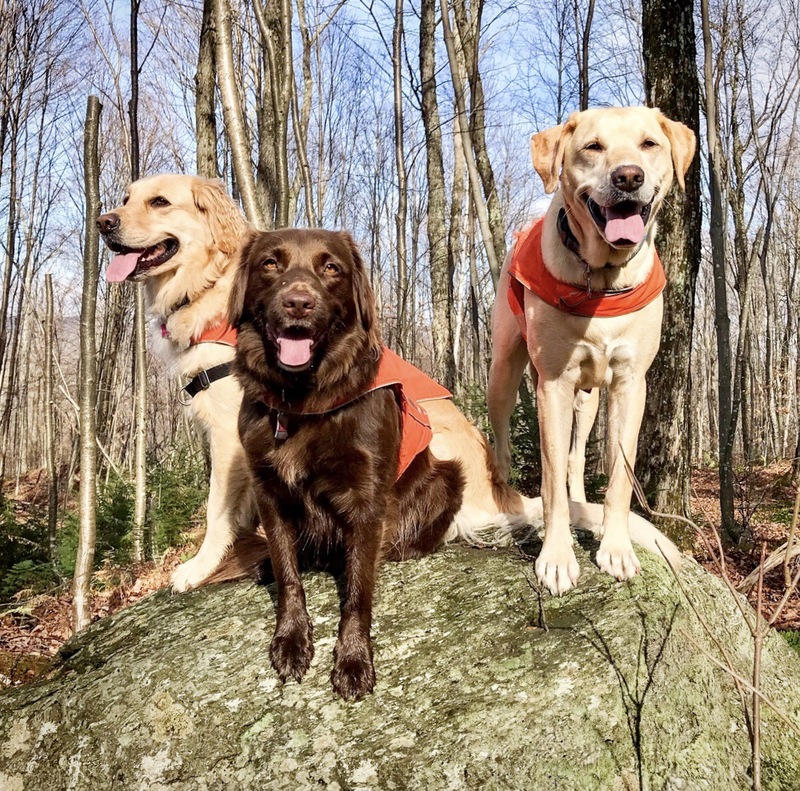 If you are thinking about adding to your pack, check out the available and adorable puppies and dogs on their site. I hope you enjoy the photos, and I look forward to sharing the coming year with you. 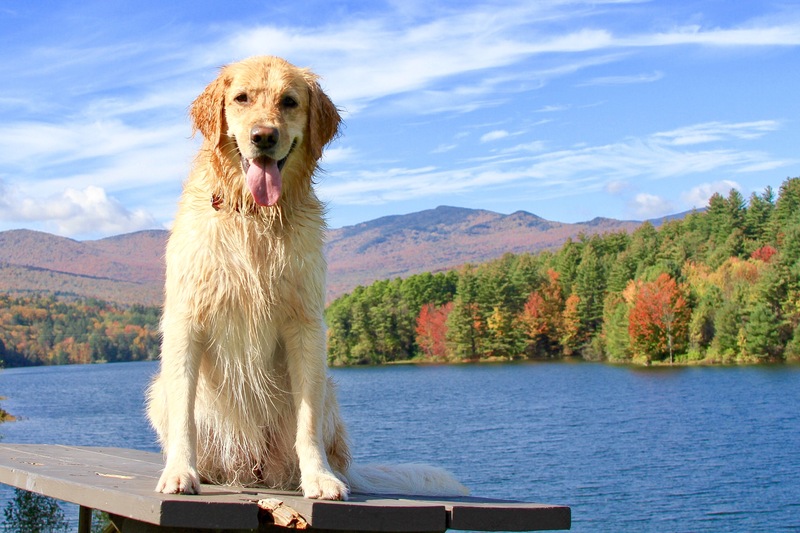 May you celebrate National Puppy Day 2019 on Saturday, March 23 with a slobbery kiss and a long walk with your forever puppy. Fayston, Vermont. I am pleased to announce that I will be holding a pop-up photo show at Product Think Tank in Waitsfield, Vermont on Sunday, October 7 from 2-5 pm. “A Sheep Show: Photography by Rebecca Silbernagel” features photo portraits of sheep, along with a few cows, butterflies, and the local landscape. Also debuting will be my awesome line of greeting cards, which include one of each of my dogs. Product Think Tank is located in the Mad River Green Shopping Center, next to the Waitsfield Post Office. Sometimes, things just happen. Several months ago, a friend of mine opened up a boutique of knitwear she designed. She asked me if I had any photos of sheep she could display with her lovely wool knits. Thanks to one of my readers who invited me to her sheep farm a couple of years ago, I did. But the prints I made were 8 x 10 (smallish), and I only made two if them. Would you like me to take more photos, I asked my friend. That’s when she had the idea for a pop-up sheep show, and I realized that I had a summer project. If you are in Vermont, I hope you will stop by and say “Hello.” I will have photo prints ready for your frame and a few are ready to hang, plus my collection of greeting cards. See what you think of my portraits as you browse the beautiful knitwear in the shop. September is my favorite month because the days are usually warm and the leaves begin to turn. It’s still summer, but different: brighter, more flavorful. Here are a few photos from the last month.